With smaller minimums, better pricing and seasonally curated sets, Ready To Go! is a new way to work with Essential Wholesale & Labs. You’ll get the flexibility and speed you need to bring new products to your customer—whether for the season or for years and years to come. 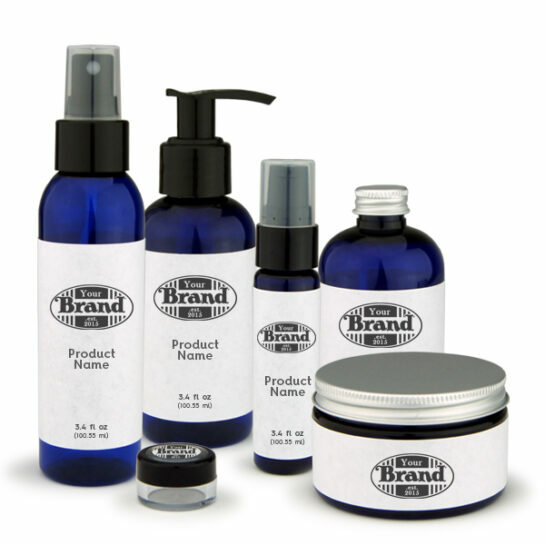 You can even choose from 13 Ready-to-Label pre-packaged products in TSA-approved Travel Sizes. When you order through our Ready To Go! Program, you’ll be choosing from products hand-selected by our natural and organic cosmetic experts and aromatherapists for their popularity, trendiness, and customer appeal. You’ll have lots of options for your business without the guesswork, or the inventory headache. Travel-size your brand this winter with Essential’s Ready to Label products. Choose from 13 different products, all packaged in sets of 12. These lovely, cobalt blue TSA-(and shopper) Approved bottles and jars are gorgeous and ready for your labels. Choose from four new and glorious items including, Exquisite Face, Hair, & Body Oil with Pumpkin Oil, Cranberry Oil and Pomegranate Oil, and Refreshing Vegan Lip Balm. Eight of our most popular products, like Peppermint Tea Tree Hair & Body Wash, Lavender Shortbread Cookie Scrub, and Muscle Jelly are also ready for your label. You can buy these in 12 packs with additional discounts at 48 and 144 pieces. We’ll also give you easy to use label templates so you can print at home on Avery Labels, work with a local printer, or order online with Lightning Labels to produce them. There’s a sampler of all Ready to Label products, too. Because every product in the Ready-To-Label set is Travel-Sized, they are also great to bundle in gift sets for stocking stuffers, teacher gifts, hostess gifts, overnight bags and on and on. We all have our favorite fragrances, and scenting base products is a fun way to add to your line. This season we’re introducing a lower minimum for scenting– just one gallon on 10 select bases, scented with one of six Essential Oil Blends, including two new ones, Grapefruit & Peppermint, and Lavender & Cedarwood. When you select your base and EO blend, we’ll scent to a medium range level determined by our Certified Aromatherapist, Kathy Steinbock. 18 finished products are highlighted for you in this product set. The Peppermint Lotion, Citrus Hair & Body Wash, and Chocolate Orange Crème are perfect for the fall and winter season. Trendy products such as Lingonberry Hair Detangler, Blood Orange AHA Walnut Scrub, and Lavender Micellar Water are brand new and right on trend. Just order in bulk and fill into your containers when the product arrives. You don’t need to add Essential Oils or other additives, as these products are package ready. Learn more. Getting ready for the business holiday season is a lot of work. We hope the Ready To Go! Choices make it easier and faster for you to expand your sales. What’s your Travel-Size strategy this year?